Our prices start from just £8,900 + VAT for a 12 month lease. Watching from the trackside is one thing, but having your own private hospitality suite puts you and your guests above the crowds, with superb viewing, comfortable facilities and outstanding catering. There's no better place to experience the superb calendar of events that takes place at Brands Hatch every season. Naturally, our suites have been designed to offer superb views of the racing and are positioned along the start/finish straight - right in the heart of the action. You are also free to personalise and brand your suite to gain maximum benefit from your investment. Our dedicated team will always be on hand to ensure that every time you entertain, the day runs like clockwork. Situated alongside the famous start/finish straight, our suites are designed to have a fantastic view of virtually the entire Brands Hatch Indy circuit. Your elevated position coupled with the natural ampitheatre of Brands Hatch offers one of the best views in motorsport. This unrivalled location enables you and your guests to watch the explosive getaways at the start and witness the fight for the lead all the way around the track. The four storey structure also gives a bird's eye view of the pit lane action and podium ceremonies. Suites can accommodate between 25 to 35 guests and suite hire includes an allocation of tickets for every race meeting throughout the season. Our on-site caterers supply a wide range of superb menus for you to choose from. 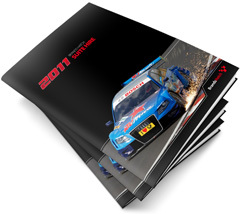 Brands Hatch is enjoying a superb season of racing in 2011, with an impressive selection of major events. Highlights include three British Superbike contests, two British Touring Car rounds and the DTM German Touring Car Championship. The FIA Formula Two Championship, FIA Historic Formula One Championship, Modified Live performance car show and the Masters Historic Festival all return to Kent this year. There's also a record number of club car and bike events.